Why not let us make your dream a reality? Premier can make your personal paradise bigger and better than ever imagined. Screen pool enclosures keep debris out of swimming pools. 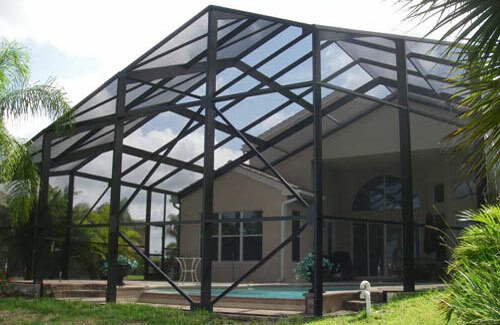 A custom screen enclosure adds not only beauty but efficiency to your home, adding resale value while providing your family with a premier outdoor experience. There are virtually limitless design options and ideas when it comes to adding a custom screen enclosure to your home or garden. Let our design experts work with you to create just the right Premier screen enclosure you desire - we design every one of our pool enclosures with the precision and careful detail you will appreciate for a lifetime.